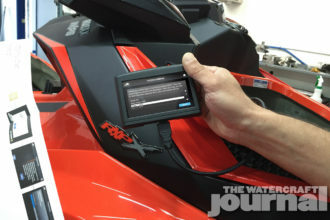 Real Review: Slippery Wetsuits' Liquid Race Boot | The Watercraft Journal | the best resource for JetSki, WaveRunner, and SeaDoo enthusiasts and most popular Personal WaterCraft site in the world! When the skies are clear and the weather warm, it’s easy to slip on a pair of flipflops and head off to the launch ramp. Footwear is often the topic least on your mind while setting off to spend a day on the water, and in many cases, rightfully so. Just chuck those sandals in the storage bin and off you go, right? But that story changes when the wind chills and the water temperature plummets and you’re still hankering to hit the lake. Suddenly, keeping your toes warm starts becoming a priority. 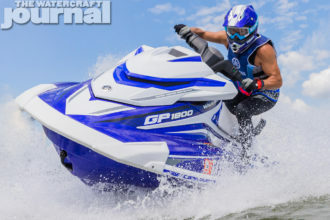 Now, that may be the case with most of us recreational riders, but the performance-minded of you who either compete over the weekends or are busy pushing both man and machine to their respective limits, foot protection is as important as a helmet, gloves and PFD. That’s why we’re big fans of Slippery Wetsuits’ Liquid Race Boot. 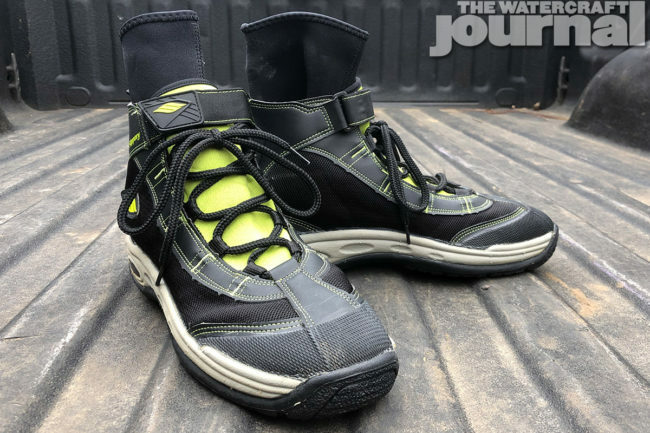 Years ago we reviewed a pair of black-and-grey Liquid Race boots that we had for over a decade. And over that time, the only things to go bad were some broken laces, one torn heel strap and a little discoloring around the sole. Not too shabby. 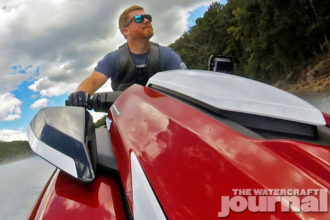 So when Slippery joined The Watercraft Journal as the official riding gear of our YouTube show “Long Haul,” a new pair of boots didn’t come to mind. 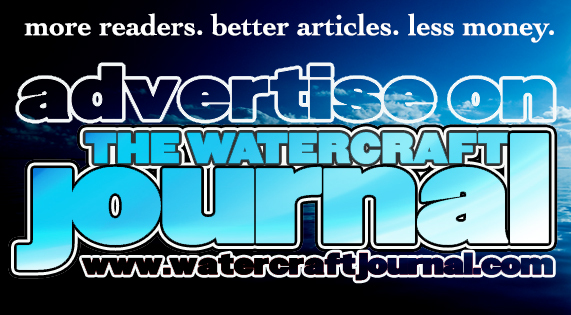 “We’d like you to try a pair,” the wetsuit manufacturer urged. “We’ve made some improvements that most folks wouldn’t have noticed, that we think you will.” We agreed a fresh pair of black-and-lime Race Boots arrived shortly thereafter. 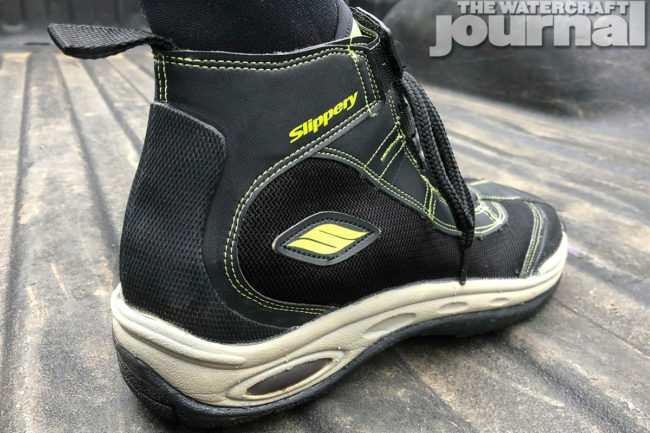 Unlike a previous pair of riding boots, which we reviewed rather highly, Slippery’s boots come with their own 1.5mm neoprene inner booties. 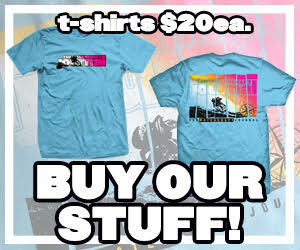 No extra purchases required here. Similar to their previous design, the lace up boot features heavy duty loops and a thick shoestring to draw the boots taut. Above the laces is a large velcro strap that cinches the boot closed above the ankle. Above the heel is the aforementioned pull tab to help pull the boot on or off. While the boot’s “chassis” is thick and durable, it includes perforated “airmesh” on both sides for increased ventilation and drainage. 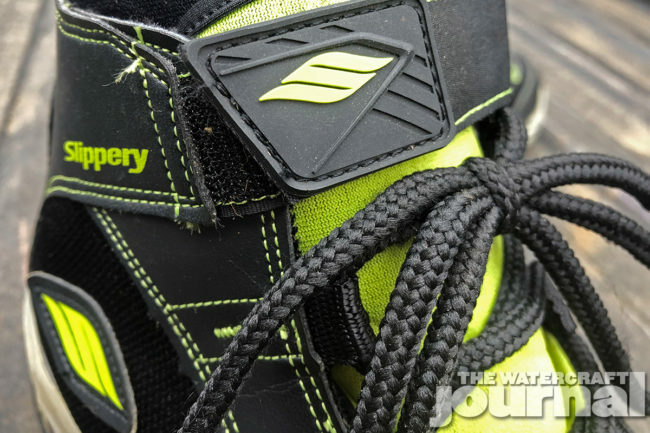 Slippery added super-durable anti-abrasion traction pads at the heel and toe, protecting the foot from shock while increasing grip while moving around the tray. Slippery also keeps the design features at a minimum: no big clunky silicone labels or unnecessary screen printing to be scuffed up. Rather, they let the boot’s performance speak for itself. A window in the heel reveals a air pocket cushion for comfort, while the black rubberized sole wraps high up around the edges for increased traction, support and stability. The sole is thick and doesn’t flex as easily as a soft bootie or water shoe, which is intentional as racers and aggressive riders often pivot off of their toes and heels. Any points lost during our scoring were minor. We do find that although sized for up to 11.5, the XXL boot does run a wee bit tight on our size 11’s, so we keep a wooden shoe stretcher in them while stored in the closest. Also, the heel strap could benefit from being cut a little longer so we can loop a finger through the hoop, rather than just tugging on it. Priced at $79.95, Slippery’s Liquid Race Boot is a solid purchase at a fair price. 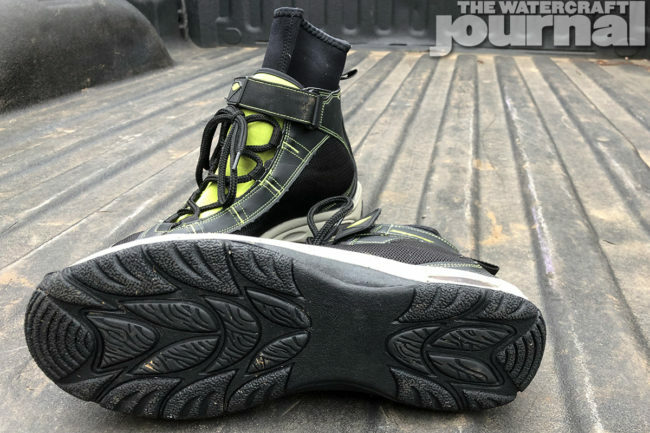 Other boots with less breathability and lacking the inner liner cost quite a bit more. 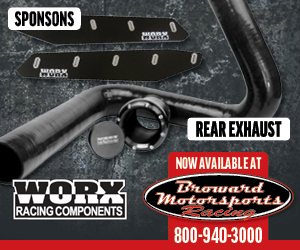 Again, if you’re going riding this Fall and Winter, keep your feet warm and protected. Wet socks and tennis shoes can be more miserable than an actual riding boot, and Slippery does it right.